Design: Hex-Plus, stainless steel for minimising rust, special torsion-style design to reduce premature wear. The 05071076001 Wera 3840/1 Hex Plus TS Metric Stainless Steel Insert Bit is one of thousands of quality tooling products available from MRO Tools. Please browse Wera Stainless Steel Hex Plus Bits for tools similar to the 05071076001 Wera 3840/1 Hex Plus TS Metric Stainless Steel Insert Bit. 05071076001 Wera 3840/1 Hex Plus TS Metric Stainless Steel Insert Bit description summary: Wera 3840/1 Hex Plus Metric Stainless Steel Bit. 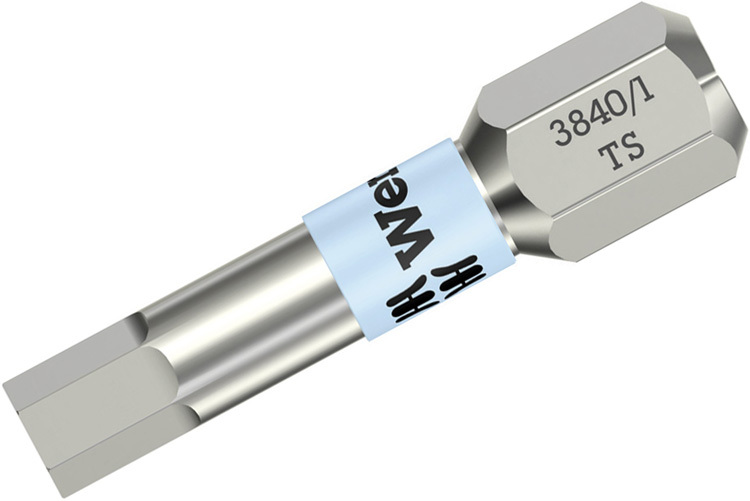 Hex Diameter: 6.0mm Shank Overall Length Metric: 25mm Shank Overall Length Imperial: 1'' Quantity discounts may be available for the 05071076001 Wera 3840/1 Hex Plus TS Metric Stainless Steel Insert Bit. Please contact MRO Tools for details.